Help make your campus events more sustainable with these tips! Why Host a Green Event? Hosting a green event helps you save energy and waste, translating to downstream cost-savings. Regular green event planning can also help you reduce the need for new materials or resources, saving even more money in the long run. Campus events are energy intensive and produce more waste than is generally accounted for by our operations staff. By planning a green event, waste reduction efforts can reduce labour requirements and minimize the environmental effects of your event. What better way to showcase your workplace's commitment to sustainability than through a public forum? Customer attitudes towards sustainably-minded businesses are becoming increasingly positive and common. Hosting a green event helps you gain loyalty by putting your money where your mouth is. Hosting a green event can seem like a daunting process, but never fear: the Office of Sustianability is here to help! The sections below contain a list of common questions asked when hosting a green event. Search for your needs specifically or simply use this page as a checklist to ensure you're on the right track. Early planning and strategizing is a key step in hosting a green event. Identify your event's unique needs and goals so that you can recognize sustainability trouble spots. Early planning can help you anticipate waste sources and opportunities to save energy and resource costs. Sustainability includes a wide range of topics and aims, not all of which may be relevant or feasible for your event. Figure out what means the most to you in terms of sustainability and what changes you can make to your event will be most effective to achieve your goals. Hosting a green event is not limited to waste reduction and energy conservation. Are you serving food or refreshments? Sustainability can mean sourcing your food options locally or ensuring that available products are fair trade certified. Do you have out-of-town guests? Sustainable transport to and from the event can go a long way reducing your overall footprint. Consider all aspects of your event when planning for sustainability. The Office of Sustainability is always available to help you with your sustainability needs on campus. Give us a call or an e-mail to help set up the best green event for you! How do I get extra recycling and waste bins set-up for my event? Submit a Service Request here. Provide relevant details such as numbers, location, foods being served and anticipated waste. Make sure to submit your request at least 7 days prior to your event. Not sure if you need extra recycling bins? Contact our Waste Prevention Co-ordinator Odili Obi at odili.obi@usask.ca. How can I minimize the waste generated at my event? Snacks and meals are a major source of waste at special events. Check-out Food and Beverage below for ideas on how to reduce waste related to food service. Informing attendees about your sustainability efforts before and during an event will turn your hard work into results. See Sustainability Awareness for tips on educating attendees during the event. Free items, prizes and handouts generate waste and are easily avoided. Careful planning can ensure that giveaways are put to good use. Check out Purchasing Materials below for ideas on reducing waste for these items. Invites, brochures, booklets and other communication materials can add up to a lot of paper waste. Check out Event Communication below for tips on reducing event related paper waste. Can I compost at my event? Possibly, although it's going to take some extra planning and you'll have to recruit and train volunteers. Contact our Waste Prevention Co-ordinator Odili Obi at odili.obi@usask.ca to discuss composting. How can I reduce waste from event snacks and meals? ﻿Where possible, use reusable items such as mugs, dishware and cutlery. If you are hosting a small event, you can ask attendees to bring their own. If you must use disposable plates and cutlery, look for items that are compostable or recyclable. Avoid Styrofoam. Let guests know how items should be disposed of. 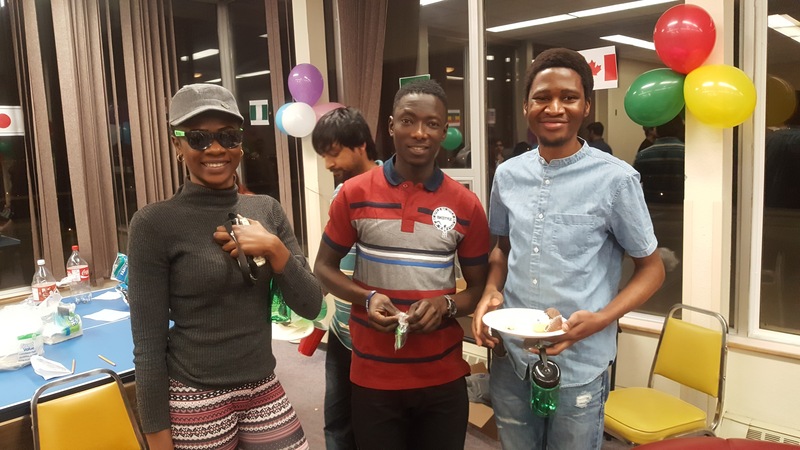 Contact our Waste Prevention Coordinator Odili Obi at odili.obi@usask.ca if you have questions. If attendees are bringing their own lunch, request they bring waste-free lunches. Avoid single serving packages. Purchase coffee, cream, sugar, and condiments in larger portions and use dispensers. Provide tap water instead of bottled water. Ask participants to bring their water bottles. Pitchers of water or water coolers may be available on campus; contact Culinary Services (966-8600) for more information. If you’re hosting an outdoor event, a portable outdoor water fountain is available; submit a Service Request here. Inform caterers of the exact number of participants to avoid waste. Modify the quantity when necessary. What can I do with food waste? Provide recycling bins for plastic cutlery and paper plates. You may be able to compost food waste although it’s going to take some extra planning and you’ll have to recruit and train volunteers. Contact our Waste Prevention Coordinator Odili Obi at odili.obi@usask.ca to discuss composting. How can I order sustainable food at my event? Ask the caterer about sustainable foods and beverage options such as organic, local, vegetarian, vegan, or Fairtrade certified. All of these options have sustainability benefits, so don’t spend too much time dwelling on which is best. Use on-campus caterers in order to reduce transportation for delivery. How can I make sustainability visible at my event? Promote the event’s commitment to sustainability in advertisements or registration forms in advance of the event. When welcoming attendees, point out the location of recycling bins and explain what materials are recyclable. Provide clear signage for recycling or consider having volunteers assist guests with recycling. Our office can provide assistance with this. During the event, highlight the sustainable efforts, services, and features in place to support sustainability. Outline your expectations for how attendees should act sustainability and thank them for their help. In follow-up e-mails, recognize everyone’s greening efforts and thank all staff, volunteers, and attendees for their support. Summarize the sustainability efforts and encourage others to make their own meetings and conferences more environmentally friendly. How can I reduce the items I purchase to host an event? Rent or borrow items as an alternative to purchasing. Many companies rent event furniture such as tablecloths, easels, lighting, displays, decorations and more. Many are available on campus; submit a service request here to book any of these items. If purchasing signage, make it generic and undated so that it can be reused for future events. How can I ensure that giveaways and handouts aren't wasteful? Consider if the item is really necessary and whether participants will actually makes use of the item. Reduce the number of giveaway items or eliminate them all together. Don’t assume everyone wants free stuff. Ask participants if they want the item you are giving out. Don’t order more than you need and save extras for another event. Check your supplies to ensure that no comparable items are already on hand. Look for items that contain post-consumer recycled materials, have minimal packaging, are from a local supplier, have environmental or ethical certifications, or promote sustainable behaviors (like a reusable mug). Ask participants to bring their own pens and paper, instead of purchasing notes pads and pens. Ensure that prizes are high quality items, consumable, services, or gift cards. These are least likely to go to waste. How can I minimize paper usage in event communications? Send information electronically. Email invitations, information, materials and event to participants or make it available online. Confirm attendance or registrations by email. Let attendees know ahead of time that meeting materials will not be available in hardcopy at the event. Encourage participants to use digital copies or print double sided if they need hard copies. Avoid unnecessary mailing. When paper mail is necessary, use postcards rather than separate sheets of paper and envelopes. Print on both sides and keep documents as short as possible. Use paper products with certified recycled content or high proportion of postconsumer content. Avoid chlorine-bleached paper. Use environmentally friendly name tags printed on recycled paper or reuse the plastic holders by requesting the attendees to return them. Here is a name tag collection sign for you event. Provide presenters with whiteboards to avoid paper flip charts. If you must use paper flip charts, the sheets should be recycled. Limit the distribution of handouts or brochures at the event. Have someone supervise the brochures and give pamphlets to those with genuine needs or interest. How can I encourage participants to use sustainable transportation? Schedule meetings that allow time for people to walk, bike, or take public transit. Choose venues that are in locations that can be easily accessed by public transit, foot or bike. Include information about public transit in the registration package and in pre-event communications. Consider providing complementary bus tickets, setting up a carpooling system or organizing a shuttle service. Ensure the bike racks are available and provide information about their locations. How can I reduce energy use during an event? Turn off lights and equipment when not in use. Ask presenters to turn off overhead and slide projectors when not in use. A small sticker on overhead projectors or near light switches can remind presenters of these requests. Ensure that the energy savings features are enabled on all electronic equipment. How can I encourage participants to choose sustainable accommodations? Choose a venue that is close to a Green Key Certified accommodation. For hotels that are not certified, you can ask the owner about their environmental policies. In your event information, share the sustainability rating or details for each of the nearby hotels. If you are hosting a summer conference on campus, you can reduce transportation needs by having your attendees stay right on campus. Check out the conference rates for U of S Residences Services for details.